Chelsea beat rivals Manchester United thanks to a single goal from star Eden Hazard on Saturday evening, and the victory means the Blues are just two wins away from sealing the Premier League title. Jose Mourinho’s must first, however, overcome second-placed Arsenal at the Emirates Stadium next Sunday afternoon – but there’s no doubt that the Blues are brimming with confidence ahead of the clash. 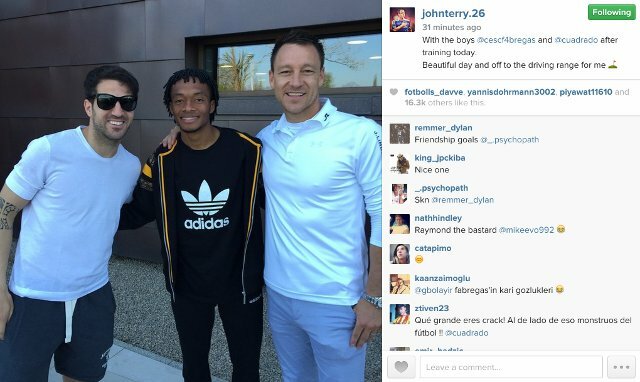 Chelsea captain John Terry posted this image on Instagram, posing alongside team-mates Cesc Fabregas and Juan Cuadrado, on Tuesday afternoon. The trio certainly look to be in high spirits knowing that they are could be just weeks away from being crowned the champions of England. 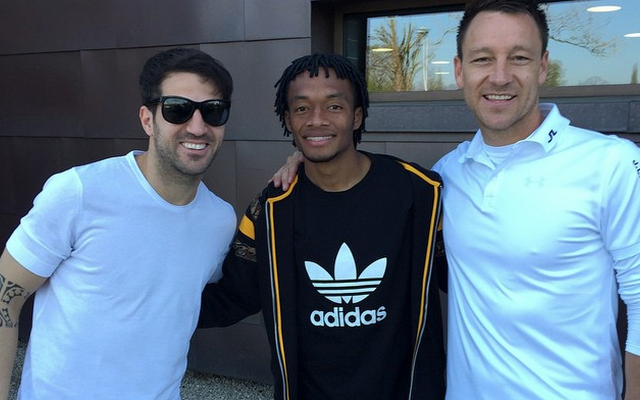 Despite being all smiles, Cuadrado’s career at Stamford Bridge hasn’t got off to the best of starts since joining in January; as the Colombian has spent much of his time on the periphery of the first-team. The end of the season can’t come soon enough for the 26-year-old – who will be desperate to make an impression on boss Mourinho over the summer.